I am a newbie to makeup. It has never been my thang. I only started wearing it at 21years old, (7years ago) and I still keep it very simple. Mascara, lipstick,maybe eye liner and I am good to go! As time has gone forward and I have been watching Youtube tutorials, I have decided this year to explore my makeup choices and have some fun with it. I still aim to keep it very simple, no contour and all of that...just a natural fresh everyday look that I can wear to events and nights out. 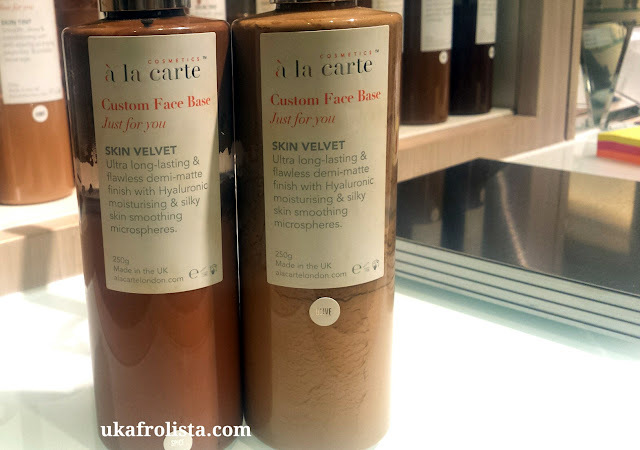 I had the opportunity to visit the Cosmetics à La Carte London store in Sloane Square last week to create a bespoke foundation. Cosmetics à La Carte London are a luxury makeup, skincare brand and beauty experience created in 1973, by Lynne Sanders. 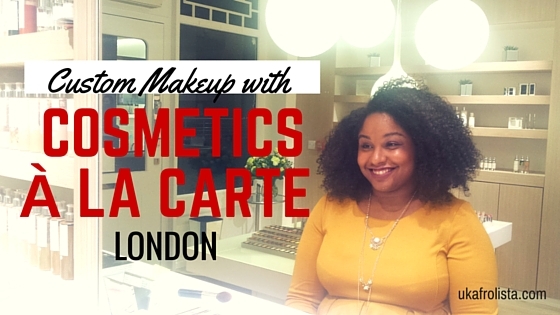 Cosmetics à La Carte London is the 1st handmade British makeup brand who still produce their products in the UK. 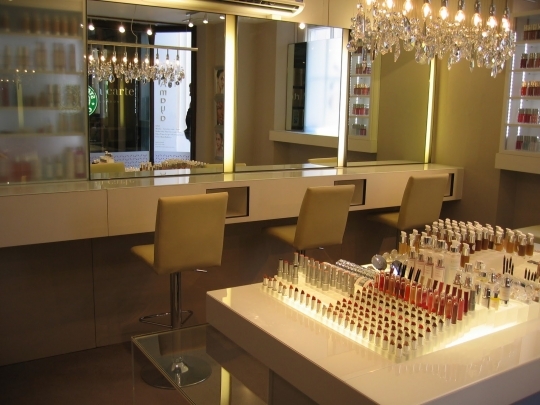 Past clients have included Princess Diana, Lady Gaga, Elizabeth Taylor, Kylie Minogue, Frieda Pinto and more. I was so excited to have a bespoke foundation created just for me. 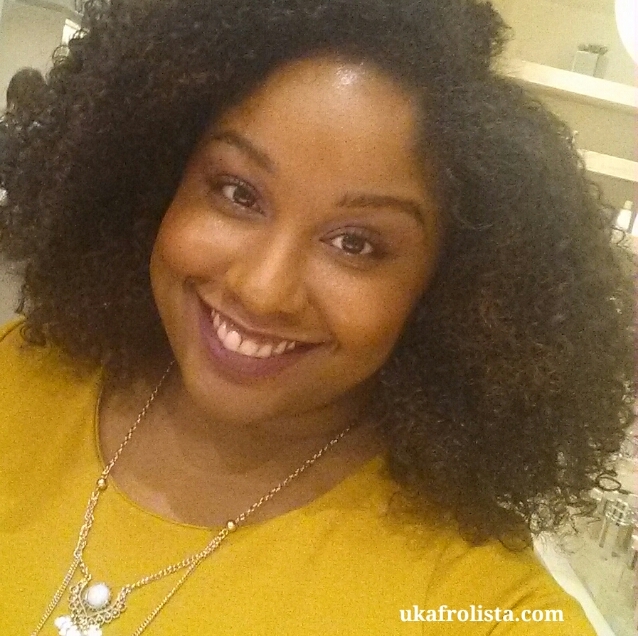 As a brown girl, it is so hard to find the perfect shade in a regular shop like Superdrugs or Boots, the shades are either too light, the wrong tone or leave your skin looking ashy! 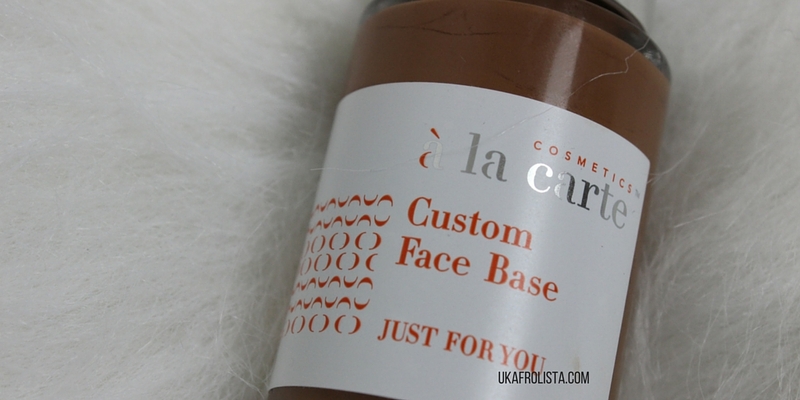 So you can only imagine how excited I was to have my own bespoke foundation that matches my skin tone. 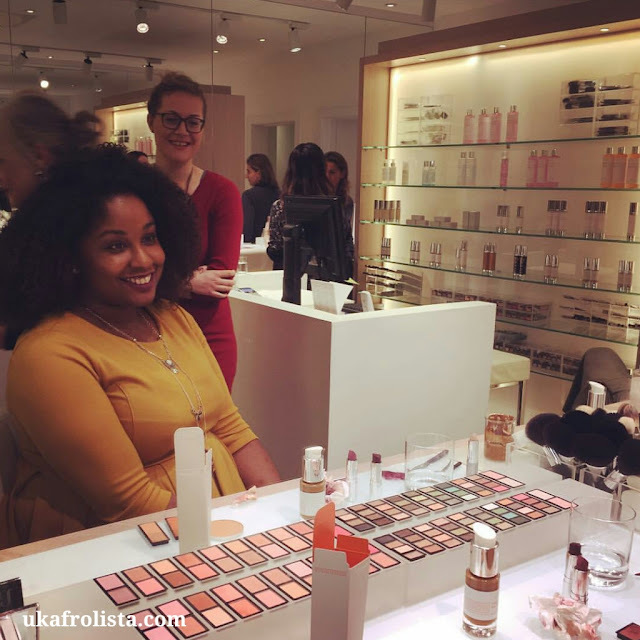 The Cosmetics à La Carte team are so welcoming and inviting. 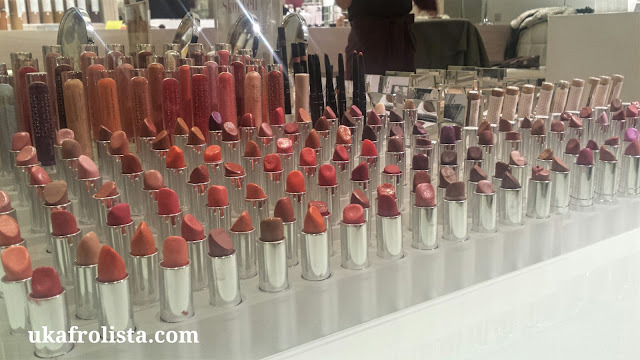 We had great conversation about the latest makeup trends, beauty and I even learnt about makeup for the bedroom!! 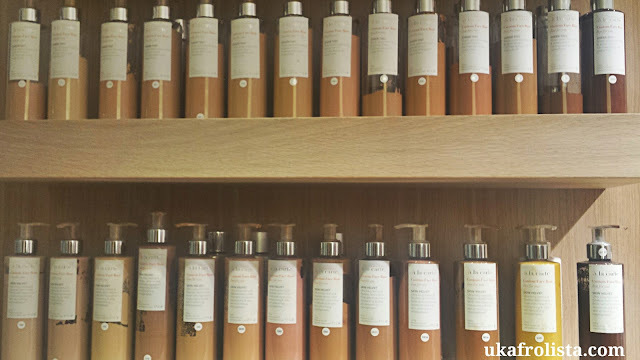 I also had the pleasure of creator and founder Lynne Sanders create my bespoke foundation as we were having some difficulty trying to create the right tone. The 1st trial I felt was too light for me and didn't blend well with my neck. I like a seamless, flawless finish. 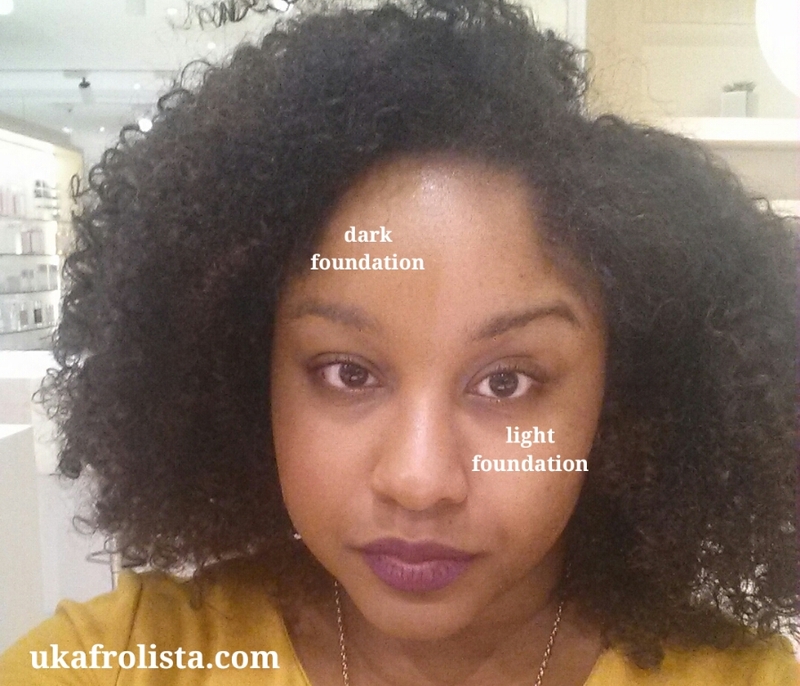 I have seen too many foundation shade mismatches and do not want to be a part of that crew! It is very interesting how the foundation is created with red,yellow tones mixed with the right amount of this and that. I was very intrigued. 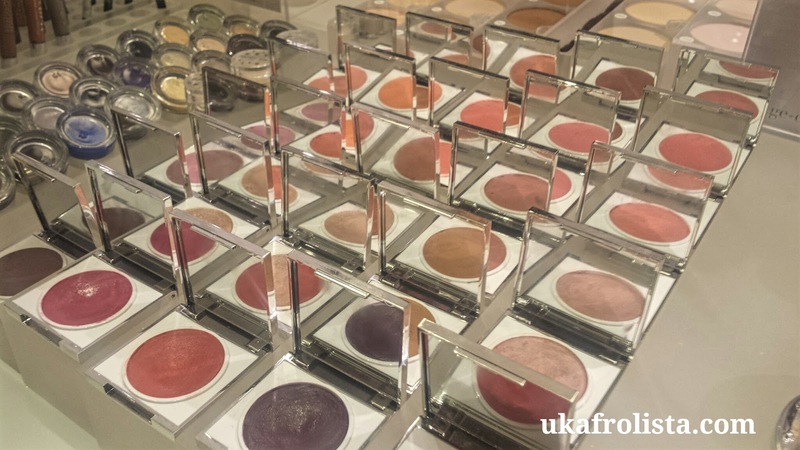 Lynne shared some great knowledge about makeup and past trends that have resurfaced today. One thing I love about Lynne and her team, is the attention to detail and creating a great experience. I am all about the experience, as it creates the decision as to whether you will revisit or continue to purchase from a brand. I always feel brands should make their client or consumer feel comfortable and enjoy their time browsing or shopping with them. It took a while to find the correct shade which I appreciated, because I have previously had issues with makeup artists making my face look orange or grey, so I am so glad so much effort was put into making sure it was correct. In between trials, my skin was cleansed with the Cosmetics Total Lift off, one-step oil-free cleanser and toner , which I feel in love with. 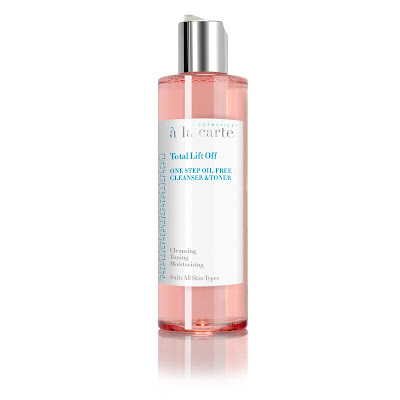 I need to get it, because it left my skin so soft and moisturised. It was so gentle on my skin which is highly sensitive. To complete the look so my face wasn't bare, Lynne played around with blushes, highlights and contour. I wasn't a huge fan of the blusher, it has never been a makeup component that has interested me, but I loved the highlight!! So I created a purple that had a beautiful deep tone to it... I fell in love..and it gets better! 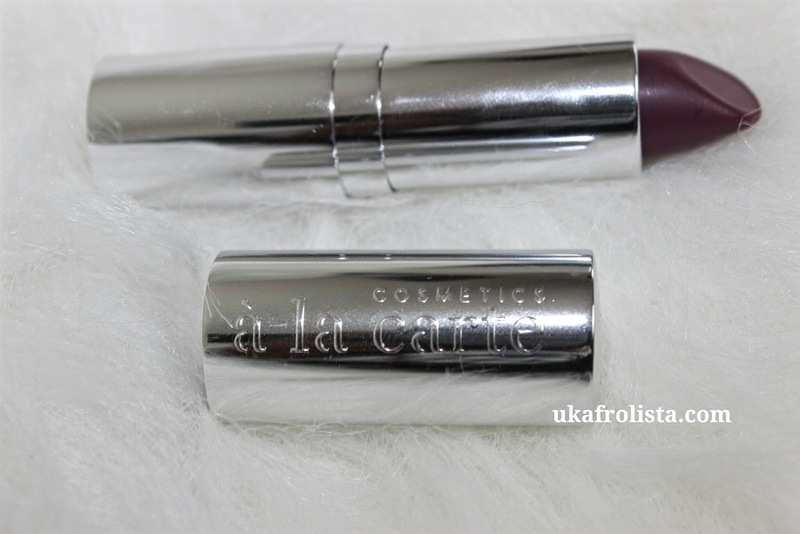 When you create your lipstick at Cosmetics à La Carte you can name it. 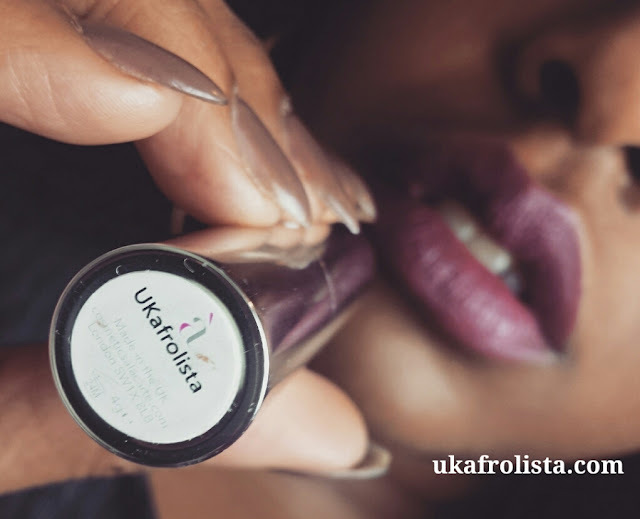 So introducing the UKafrolista shade. I love it sooo much!! To complete my look Lynne added some purple eyeshadow and mascara. 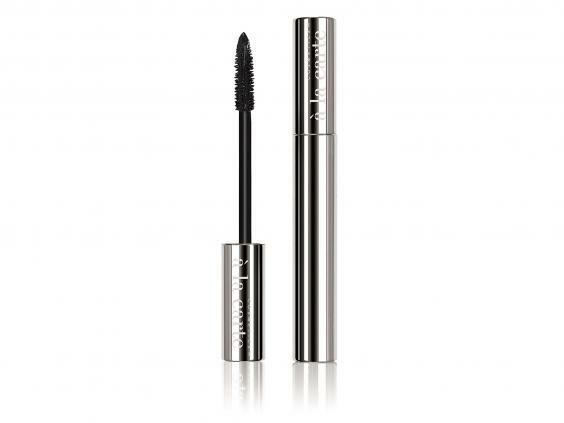 Mascara has always been a love of mine and I have quite long natural lashes, but the Cosmetics à La Carte Divine Lash mascara is the best one I have ever used. My eyes were transformed! I was truly in love with my finished look and felt so fly! 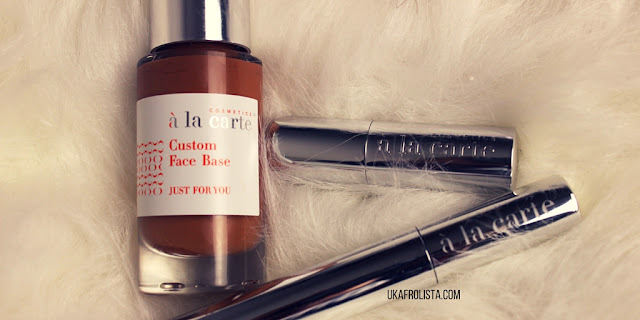 Overall my Cosmetics à La Carte experience was AMAZING and I am a new fan. 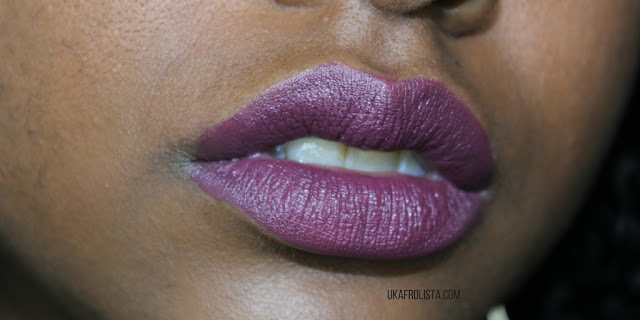 I want to create more custom lipstick shades, I just love the concept of custom makeup. It is so personal and exclusive. 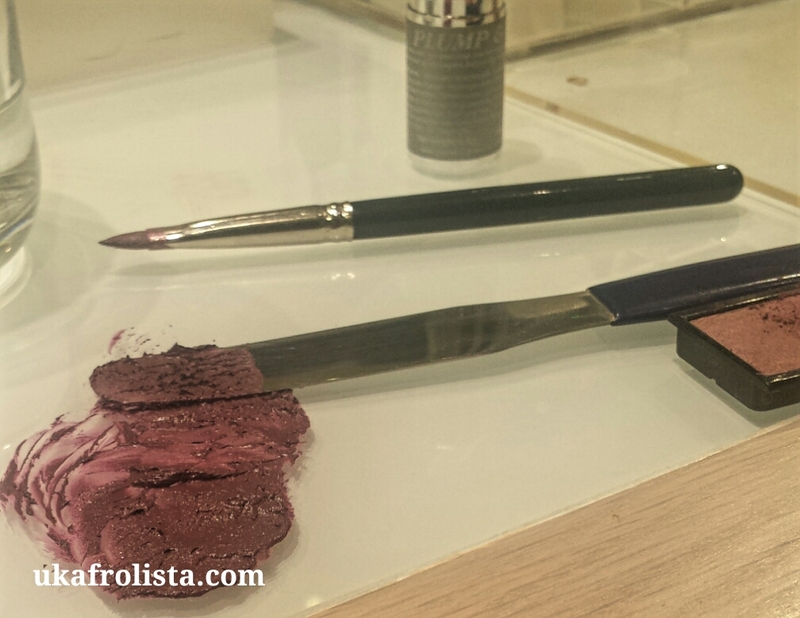 Cosmetics à La Carte also offer private makeup classes, group sessions and cater to weddings.